For estate planning lawyer Larry Lehmann ’74, flying is more than a hobby, it is a mission. Lehmann has found ways to not only incorporate his passion into his law practice by maintaining clients throughout Louisiana, but also has found ways to use flying to give back to those in need. It was during his youth that Larry fell in love with the skies. He recalls a time when he and a few of his high school friends saved up enough money to skip school to take a 15-minute airplane tour of New Orleans. That trip was the beginning of a lifelong fascination with flying which would lead him to become an instrument rated pilot in 1982. 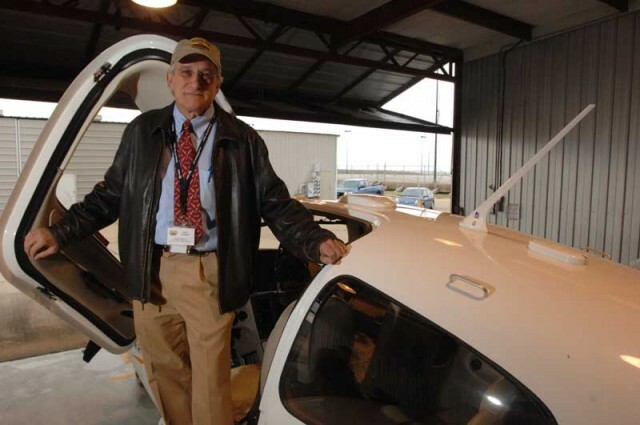 In 2008, Larry became a founding member of Pilots for Patients, a nonprofit organization that assists medically stable patients throughout Louisiana with their medical travel needs. Pilots for Patients maintains more than 75 pilot volunteers who agree to donate use of their time, airplanes, and fuel for accepted missions. Since its first flight in 2008, the organization has conducted 416 air missions and 36 ground missions to cities such as Houston, St. Louis, and New Orleans.